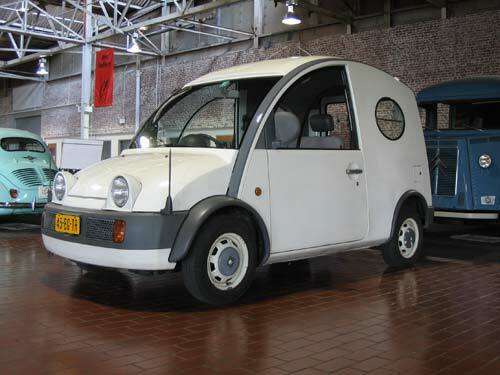 The Nissan S-Cargo was first shown at the 1987 Tokyo Motor Show. From 1989 until 1992, only about 8,000 were produced. The small size but tall cargo area made it an ideal delivery vehicle in urban areas, with payload limited to 660 pounds. The S-Cargo is based on the Nissan Sunny/Sentra. In Europe and Asia it is highly prized as a promotional vehicle. Some vans came with port hole windows; those without windows were often painted with advertising. 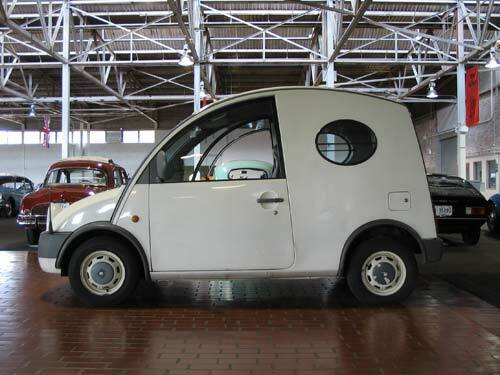 The S-Cargo has two seats and a small folding seat in the back. “Escargot” is the French word for snail. One look at the round lines and hubcaps of this vehicle and you understand how it received this nickname. The styling is very derivative of the French Citroën 2CV “Truckette.” The concept for both vehicles is the same: a small efficient delivery vehicle based on existing mechanicals. The styling of the vehicles is quite similar with their rounded foreheads and pop up snail-like eyes for headlights. The S-Cargo is the only Pike Factory car not badged externally as a Nissan.